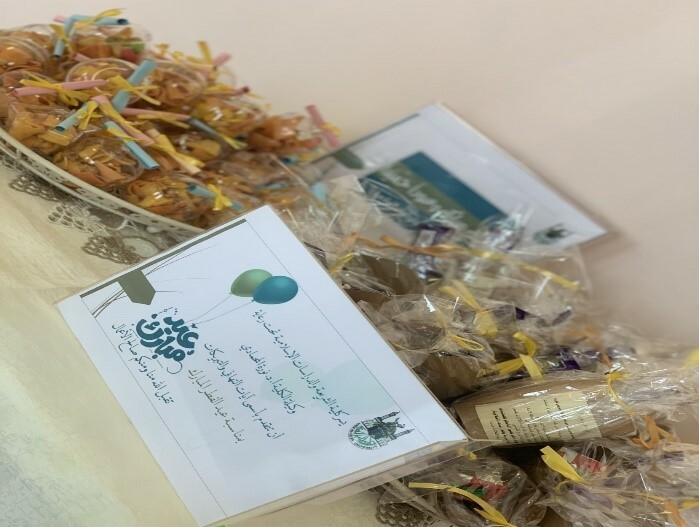 The College of Shari`ah and Islamic Studies held the Motivational Achievement (Enjaz) Platform program on Monday 11 Rajab 1440 A.H. in Jafali Hall (3). 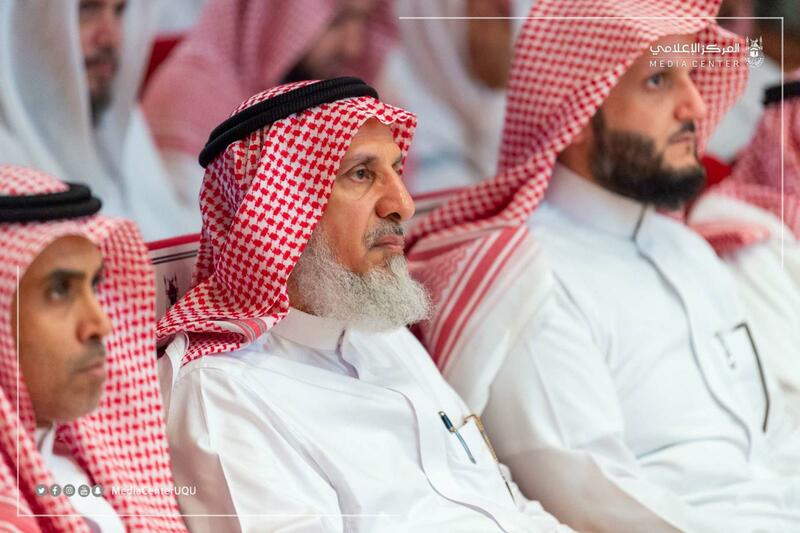 The college was represented at this platform event by the Vice Deanship for Educational Affairs, the Vice Deanship for Training and Community Service, the Talent Committee at the History Department, and the Shari`ah and Islamic Studies Department. The program started with praising and extolling Almighty Allah, and then reciting some verses of the Noble Qur'an. This was followed by the participation of Dr. Sabah Filamban with a speech entitled "Different Types of Talent and Thinking Skills," in which he explained that there were six thinking skills, and then elaborated on each of them. Dr. Nadia Al-Lihiani and Dr. Sumayah Hamoudah then participated in the event with a talk entitled "A Conversation with a Talented Figure." Dr. Nadia Al-Lihiani was the talented guest of the interview. Their talk took the form of a dialogue between two parties with an interrogative approach, in which Dr. Nadia spoke about her God-given talents of reading and oil painting. Next was the participation of Dr. Amina Ahmadi, which was a live interactive experience related to people endowed with outstanding abilities and how to deal with them. Then Dr. Amal Al-Thubaiti and Dr. Eman Kaifi delivered a lecture entitled "Achievement Platform," in which they discussed the innovative experience of the students of the Shari`ah Department, and the creative work they produced after having their talents nurtured and refined through the 10th Scientific Forum. Two pre-eminent examples of such achievement given were first-place winner student Al-Bandari bint Muhammad Al-Subai`i and second-place winner student Nouf bint Muhammad Al-Harbi. 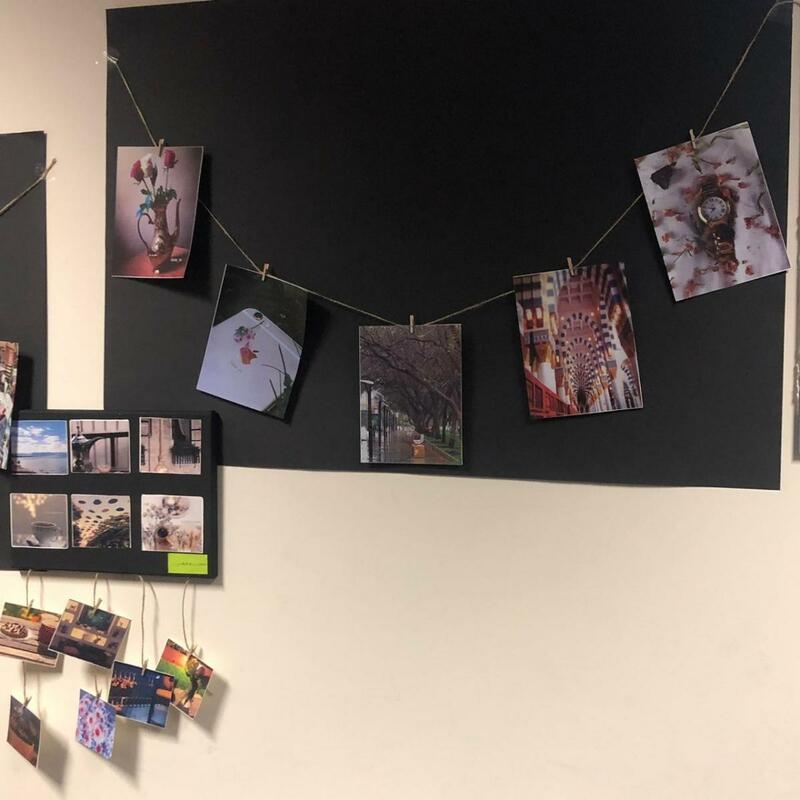 The event included several exhibition corners displaying the accomplishments and creativity of students from different departments. The audience totaled approximately 268 college students and affiliates, and the ceremonious event was well received by all those present. Finally, all contributors to the success of the platform program event were honored.